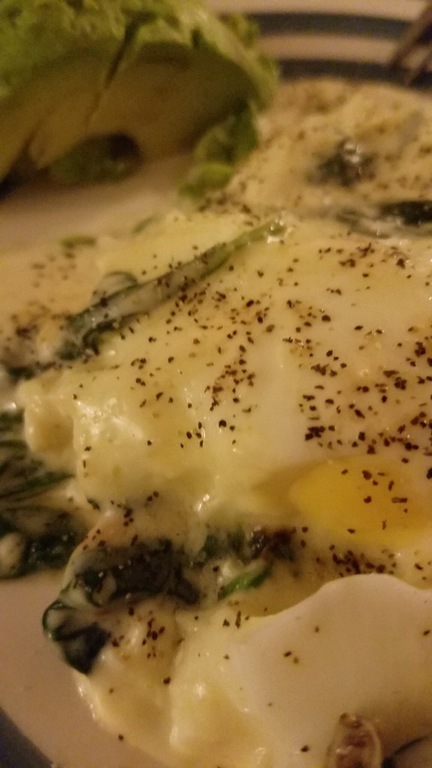 Keto Spinach Alfredo Eggs with Avocado | Keto Recipes! This is a tasty Alfredo treat, This gets 6 servings per recipe and equates to just 3g of carbs per serving. Yumm get your Alfredo fix sorted! Dish up, add salt, pepper to taste and optionally slice up half an avocado for that extra fats.